Few more interesting and heart touching experiences are shared. Anonymous Devotee from India says: Om Sai Ram to all Sai Devotees. Hetal Ji and your team, you all are doing a very pious thing as you have given a platform to all Sai devotees to share their experiences, which increase the faith and gives strength at the time of need. It is Baba's blessing to all the devotees through you and your team. I have earlier shared experiences here and a few days back. I had experienced blessings of Baba in the form of UDI and Baba Himself. Hetal Ji, please keep me anonymous. Last week, I was getting ready early in the morning as I was to go out of station for my cousin's wedding. In early morning, when I washed my face with scrub, a large amount of face scrub went into my eye and it was causing pain. I immediately washed it with water, but no relief. I was ready to leave, but I was feeling pain and irritation in eye and my eye was getting red. Before leaving home, I applied UDI on my eye and prayed to Baba to cure my eye and left home thereafter. After 15 minutes, I was in bus and a lot of water came out of my eye and I was back to normal. My second experience with Baba was yesterday. I was at my workplace and was in tension and just prayed to Baba to please give me Darshan. I do not know why I went to the courtroom, which was on the last one at the corner when I knew my case was to be adjourned by the judge and there was no need for me to go there. I just went and sat there and started looking outside and I could see the parking from the windows. And there I saw Baba on the backside of my own car. I have pasted Baba's photo on the back of my car so that when I drive I can see Baba in the rear view mirror and also for so many devotees, who wish, like me, to see Baba while driving or going out. Believe me I was not even aware that I have parked my car there and I could see Baba from there. It was Baba only, who made me park my car there and then in the afternoon after so many hours, took me to courtroom without any other reason. I also want to mention here that I have never been to Shirdi, but I have always heard that one feels a strong power or have a strong feeling, when one goes to Dwarakamai. Last week, I was doing saptah Parayan. One day, when I was sleeping, I was in Dwarakamai and I felt a very strong force in my body. Radha Krishna Mai, who used to serve Baba, took me to Dwarakamai. And the other day, I saw Baba in my dream, who blessed me. I always wished, while reading Sai Satcharitra, that I also want to serve Baba by pressing His legs and guess what? When Baba blessed me in my dream, the next thing which I was doing was I was pressing Baba's legs as I always wished for. I can't explain what I felt. Though my problems are not yet solved, but I know Baba has blessed me and promised me then He will definitely grant me my wish. I want to request all Sai devotees just have Shraddha and Saburi. Baba always tests our patience. Baba never leaves His devotees, while testing. Also Baba is always with us. Anonymous Devotee from India says: Dear Madam, Please don't disclose my ID. Thanking for your noble work by this site. In the month of May 2010, when I visited the Shirdi, I was doing Pradakshina at Gurusthana. Suddenly a boy of age 12-13 years offered me something with his right hand. I asked what it is. He replied neem ke patte and I took it. I continued my Pradakshina. I didn’t think of anything. After some time, I was searching for him, but I couldn’t find. I was surprised to see all leaves of neem were green and yellow and very fresh that too in so hot season. I ate one leaf. The secret is that I was not conceiving after my daughter who was 7 years. So I was worried. Just after that in month of June, I got good news and delivered a very naughty and smart boy in Feb 2011 and that too on Thursday. Not only this, I gave that leaf to my sister-in-law in July and she also conceived in September and delivered a beautiful baby girl in 2011. Baba is there with all of us every second. So don’t worry and face all challenges like Baba's brave child. My message to all devotees is just love Him like your mother. He wants only love and spread love to all. This world needs it. Please ignore my mistakes. Om Sai Ram. Sai Sister Smriti Ji from India says: Jai Sai Ram Hetal Ji. I am Smriti residing in Lucknow. Please don’t disclose my email id. You are really doing a wonderful job in posting devotees experience as it works as the faith booster. Now, it has become my habit to visit your website as soon as I come to my office. I was planning to post this experience from a long time, but I couldn’t do so because of the some or the other reasons. 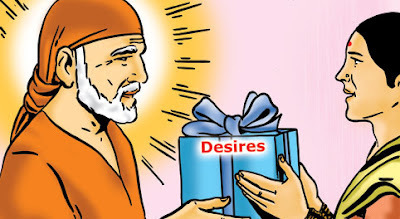 But Today I decided that I will definitely post it and here is the divine experience of Sai. I went to Shirdi for the first time in Nov, 2011 with my family. That experience itself was very blissful and I felt the presence of Sai in Shirdi. During the Shirdi visit, I knew that my maternal Grandfather (Nanaji) is suffering from cancer. We prayed for him in Shirdi and collected UDI from there and came back to Lucknow. After this my mother went to my grandfather’s house and she gave him a Sai Baba photo along with the UDI Packet and asked him to take it with water so that his disease can be cured. Then my mother asked about his disease in Sai Question and Answer Book and the answer was “Disease will be cured” and this really happened. When my mother went to Nanaji, he said that according to Doctor’s Report, I am fine now and my Cancer is cured now. I was really happy to see that Baba never let His devotees down and His words are always true. This happened in April, 2011. Again on 9thMay, 2011, my Nanaji fell unconscious and was not responding to anyone and it seemed that now his time has come. He will leave us now. He was not ready to go to the hospital also. 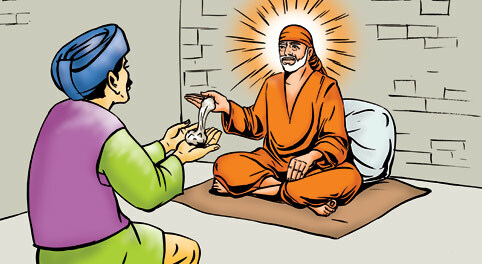 But my mother held his hand and continuously chanted Sai’s name and I also prayed to Baba. And yes again the miracle happened. Within one hour, he gained his conscious state and started talking to everyone. My mother and I went to Sai temple and thanked Him a lot. My grandfather was normal till night, but again at night, he started shouting that I won’t survive now. I will die and he was not able to sleep also. He was awake till 2:30 am then I gave him UDI in water and also applied it on his forehead, after this he was very much relaxed and had a sound sleep. Seeing also these things, our relatives said that God has sent him back to us. He was gone, but he has come back. But in our mind, I and my mother knew that it’s all because of our Saibaba. He has protected him. As it is said that we all have to leave this world one day and that day came for my Grandfather on 9th June, 2011 which was Baba’s Day (Thursday). He left us. When my mother went to Sai temple in the morning that day, she prayed to Sai that my father is really suffering a lot, please take care of him and do whatever is best for him and in the afternoon Sai took him. But we knew that this was best for him, since he was really suffering a lot. One more thing, I would like to mention that from 9th May, 2011 to 9th June, 2011 my Grandfather passed his time by sleeping. In this period, Baba took care of him and provided him comfort by making him sleep. There are other experiences also, which I will be posting it soon. But yes Sai is always there with His devotees and runs to help them in the time of danger. Baba please bless Your devotes. Jai Sai Ram. Who else will take care of us like Him?? Excellent experiences.. Thanks all for sharing it..
All experiences are very nice and soothing. I am also very very upset for not been able to conceive for almost a year now and from the past few days I keep searching for Baba's miracles related to blessings for children. So second experience today is very heart touching for me. Your post made me positive and I hope Baba forgives my sins and grants me motherhood soon. Praying for whole Sai Family. All the above experiences were good. Even i am trying to conceive wish i also got the neem leaf from shirdi to eat.Baba please give me also the neem leaf. Baba my husband is not happy with his career prospects and health.Please Baba take care of my husband's health.Make him to come out of pain and depression and also bless him with a very good job of his liking soon. pls baba, help us to overcome all our problems. i & my husband are facing alot of financial problems.there is not a day that we are happy. pls baba, pls help. such a nice experiences. baba pls bless all of us. thanks for sharing your experiences. bless us all Dear Babaji. Amazing experiences. Om Sai Ram. Nice experience4s. Om Sai Ram. Very beautiful experiences! Smriti Ji, it is wonderful how Baba took care of your grandfather and I'm sure even now he is taking care of him and watching over him. 1st devotee from India, I hope you will get the call to go to Shirdi very soon (I'm sure Baba is just waiting for the right time to call you there) and it is good Baba wanted to make sure you saw him when you were in the courtroom. 2nd devotee from India, Baba must have come through that boy to give you the neem leaves to help you have another baby (Baba comes to us in many forms and already knows what we are thinking, so he must have given you this neem leaf to help you have another baby). Om Sai Ram!